Chengdu is China’s very own natural storehouse and Dujiangyan Irrigation system seconds the statement. The construction of this enormous water system dates back to 2200 years. Yes, that’s right! 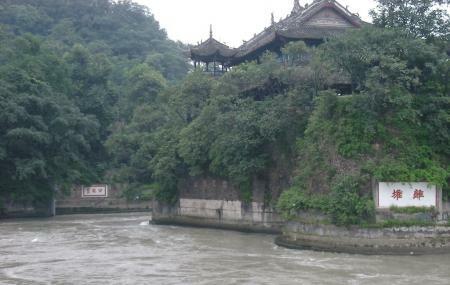 The city was threatened by frequent floods of the Minjiang River which is a tributary of Yangtze River. Li Bing- a local official of Sichuan province conceptualised this irrigation system to prevent flooding. This project is a successful attempt and the people living today still benefit from it. Today, it is fondly called “treasure of Sichuan” as it helps preventing floods and maintains flood water drainage and serves as a major resource of water for more than 50 cities. The oldest and only surviving no-dam irrigation system in the world, Dujiangyan is the oldest and only surviving no-dam irrigation system in the world and a wonder in development of Chinese science in ancient times. There are three main parts of the project namely Yuzui, Feishayan and Baopingkou. Attractions within the project include: Analan Cable Bridge, Fulong temple and Erwang temple. Visit this place to admire the Ancient engineering of China. Of visiting in June, you can also experience the temple fair! How popular is Dujiangyan Irrigation System? People normally club together Du Fu Cottage and Jinsha Site Museum while planning their visit to Dujiangyan Irrigation System. People also prefer to start their day with Dujiangyan Irrigation System.